Professor Yamashita was born in Kumamoto prefecture in 1957. After graduating from Tokai University’s affiliated senior high school in 1976, he enrolled at Tokai University, graduating from its Masters curriculum in 1983. From 1983 onwards, he has been employed at Tokai University, being appointed assistant professor in 1986 and full professor in 1996. He holds the 8th Dan in Kodokan judo. Since 1998, besides his curricular activities at Tokai University and his leadership of the university’s judo club, Professor Yamashita’s responsibilities include his function as director of education & coaching for the International Judo Federation to which he was appointed in September 2003. Within Japan, Professor Yamashita is head of the Male Judo Athlete Strengthening Department of the All Japan Judo Federation as well as a member of the Central Education Council of the Japanese Ministry of Education and Sciences. 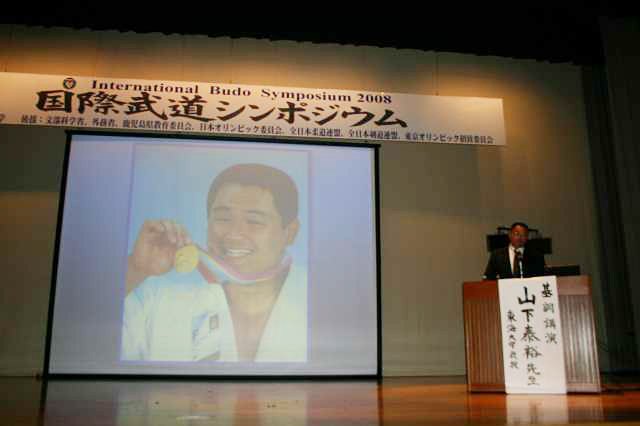 In April 2006, Professor Yamashita founded the NPO-Solidarity of International JUDO Education. Based at Professor Yamashita’s office at Tokai University, its purpose is to contribute to judo’s international popularization, to promote through this activity the interactions between individual people, to deepen intercultural understanding, and to contribute to the cultivation of young people not only in Japan but throughout the world.